1 Jar of Shady Acres Organic Gooseberry Currant Jam (or flavor of choice) – you will use about 1/4 of the jar depending on your preference! 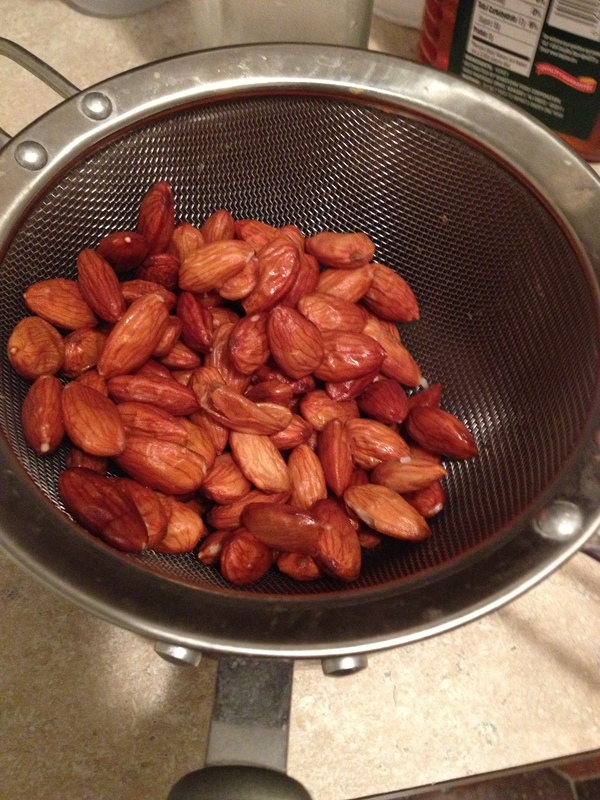 Blanched Almond Flour: Add almonds to a pot of boiling water for 1 minute. Strain and rinse under cold water. Peel the skin of the almonds. In a food processor or coffee grinder, pulse the almonds into a fine powder – use quick pulses to avoid turning to a paste or butter. Mix the flour, coconut and salt in a bowl or food processor. Melt the coconut oil and honey/maple syrup together and add to bowl/ food processor. Mix until coarse. 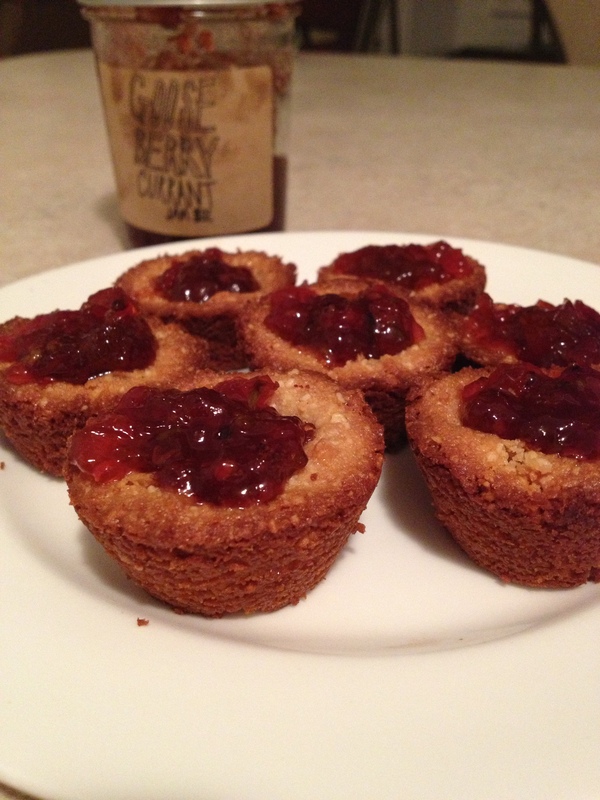 Mold into tart crusts (size to preference) and push a small hole in the center (to add jam when baked). Bake for 12-16 minutes until golden. I left mine in a minute or two too long so I would recommend sticking closer to 11-12 minutes if you like a lighter crust. Allow to cool and add a scoop of the jam in the center. Enjoy!